Download our new App from the App Store or at Google Play ! 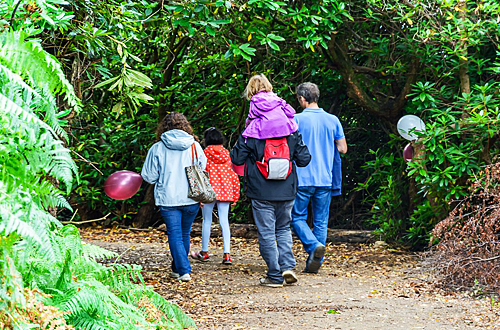 Visitors are able to enjoy free access to one of the country's most historically significant gardens - privately owned since their creation in the 17th Century. Guided by a new mobile App that reveals glimpses of the landscape as it was in the early 1800's, the story of the picturesque, Regency landscape and its owners is presented for all ages to enjoy. 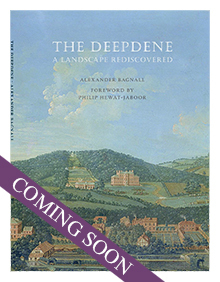 Visitors can uncover the many fascinating stories and grand physical features of the Deepdene Estate on The Trail. You are welcome to come and explore! We issue a regular newsletter detailing events and news from The Trail. Further information on Mole Valley District Council's Privacy Notice relating to e-newsletters is available here. Our blog tracks the behind the scenes progress of our Trail as well as on-site events and community activities. "I can't wait to return and explore more especially to see the Mausoleum." "A buried treasure. . ."
"I was surprised at how much there was to see and hadn't really appreciated its significance nationally." "What surprised me the most? - That it existed!" 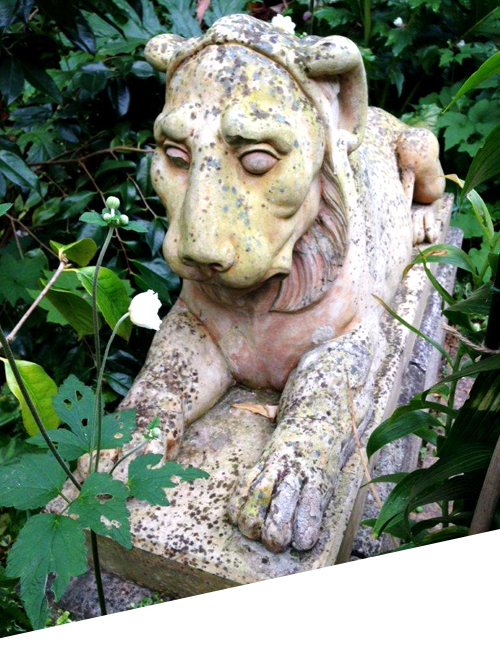 Coady, our very own Coade stone lion is a cast of one of two original Coade stone lions that sat in Thomas Hope's glorious gardens at the Deepdene Estate. By kind assistance and co-operation of the lion's current owner, we borrowed the sole surviving original lion from its home in Jersey. We conducted a 3D scan and had our very own lion cast and set on a plinth in pride of place in the heart of the gardens. We have called our new lion Coady, make sure you get a photo of him when you come and visit!